Eventmasters are delighted to offer RHS Chelsea Flower Show hospitality in 2019. 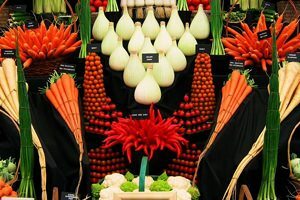 Held annually in the grounds of Chelsea Hospital, London, since 1913, the RHS Chelsea Flower Show was once Britain’s largest flower show (overtaken only by RHS Hampton Court Palace Flower Show) but remains the most prestigious. Immerse yourself in a fabulous corporate hospitality experience at the stunning RHS Chelsea Flower Show. The divine Le Lily Regale package includes an exquisite complimentary bar, as well as a VIP fine dining experience expertly designed by Raymond Blanc from within the delightful Jardin Blanc, situated at the very heart of the show. Private garden rooms are also available and can be reserved for 40 or 80 guests.